So I got a promotional swap note the other day for one of the new eshop games. Then the next time I went to play with miis he had apparently joined my group but he didn't have any heroes or puzzle pieces. Is it normal for promo people to just join my miis? Yeah, it happens from time to time. Reggie has shown up and some other guy has shown up in the past. That would be Nate Bihldorff of Nintendo Treehouse fame. If you get the chance send those two out to King Sheet and my collection will be complete. Hey @initiatefailure , check the date on your system. I think you're in October. 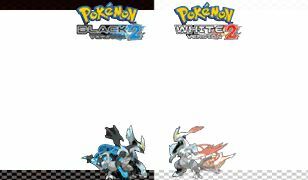 Anybody get the Pokemon B&W2 swapnote stationary? I've received the first (not from Nintendo) but I have not received the other two yet. Hmm you were right. It didn't change months automatically... Or I had had it set to 09 before that. How'd you you my date was wrong? I have the first and one of the Genesect ones but not the third. I missing all three. Someone send 'em out! Your swapnotes were coming in with a date from last month. 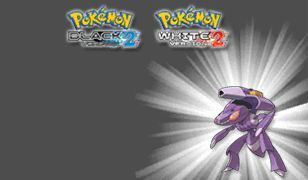 I just got the first Pokemon and the second (blue background) Genesect and Seth says "Hello, Pokemon White version 2 players." 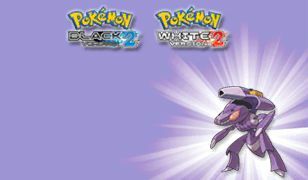 Anyone get the Black Genesect swapnote stationery? I wonder if you can't have both. Edit: MNC, I've sent out both today, check and see if they are there. I got the "Black 2" version thanks to Tom and passed it on to the people on my friends list. I don't think I can save those yet. The last thing I unlocked was the ability to add recordings and spend coins but only on music. Don't feel bad about spamming. Turn it into a fun and interesting story told in 4 page pieces. Keep the fans eagerly awaiting the next note! If you make it one or two notes per day, you'll unlock everything pretty quickly and nobody will really get bothered. Unless they don't check their swapnote once a week. But they should check it more often than that because Swapnote is awesome. i am now friends with Nick! Man it's been forever since I added people to my friends list. Alrighty , finally added the people I was missing from the last few pages of the thread. Currently sitting at 59/92 registered friends. I'll have to muster the energy to figure out who hasn't added me back now. Wow. Hope I'm not one of them. I have 100 registered and I want to add more, but I have no idea how to tell who is active and who isn't, let alone who is who since PA name isn't 3DS name for many. I'm pretty sure I added back everyone who added me. I don't have any online games but would like some friend codes to swap Swapnotes with. Please be over 18 years old because I'm an adult and would prefer to communicate with adults. Let me know if you've added me so I can add you too. Does anyone have any good stationery to trade? I have two for Denpa Ningen 2 and one for Fire Emblem: Awakening. |EDIT| I guess I'd like to be added to the friend code list as well. Crashmo/FallBlox (Europe got one with FallBlox because that is what it is named there, NA got one with Crashmo - they look identical except for the text) I have both, kinda. I received the FallBlox one and sent it out, but then when I received the Crashmo one it overwrote my FallBlox. I can still send FallBlox though by editing the one I sent previously and I set it as favorite so I won't lose it. I have your friend code in my list, but you haven't added mine. It's pretty impressive that you've managed to collect all stationery. I thought you could only get some if you owned the game or had played the demo, which would be impossible for some games not out in your region. Sorry about that, I try to add whoever adds me but missed ya. I'll send over what I have. edit: Check your swapnote. Then manually check it a time or two more. You should have 30ish messages. None of the stationery that I am aware of come with a game. They are all sent via spotpass to all registered 3DS units that are connected to the network. You can miss a message if you don't connect to the internet within so many days of them releasing the swapnote I believe, but other than that if you keep it connected once a day it should get them all. They are released regionally, but if you receive a swapnote you save it for future use, even if you receive it from other users and not Nintendo. That's how I ended up with Japanese and European stationery as well. So I just got my 3DS. Is a letter you send through streetpass sent to everyone like normal streetpass hits or does it still only go to registered friend list people (because that seems rather pointless)? You're confusing Streetpass with Spotpass. It's sent to whoever you choose to send it to, usually everyone on your friends list. No..there's definitely a send through streetpass option on my version. It has an icon of a notepad with legs rather than the envelope with wings. I'm pretty sure it only sends notes to friends to prevent people from sending dicks to random strangers. Those are the best dicks though. I need that Bravely Default one man. Stat.  So I assume I have to send a bunch of notes in order to unlock stuff like more backgrounds or whatever. Do you ever get a way to choose the depth of each image/word? I noticed in the introduction notes some of the words had more 3D effect applied to them than others. We did so much swapnoting this time last year. Some of y'all are good artists. Streetpass Swapnotes are only sent to those people you are friends with. Not everyone you Streetpass, unfortunately. You will unlock multiple features by sending notes (3D writing - basically flat or raised, photos, sound, stationery, and timed) to people. Friend Enemis as he is a great artist and is running a swapnote anime/manga! 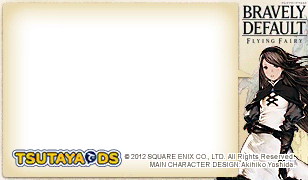 @joshgotro : One Bravely Default stationery coming up!